On a flop of [9s][7c][4h], Marty Camara bets 150,000. Richard Luckasavage moves all-in for 326,000 more. Luckasavage's set is ahead of Camara's over pair. 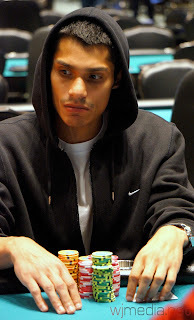 Before the turn is dealt, Camara shouts out "TEN EIGHT!". The dealers put out the [Tc]. "NOW AN EIGHT!" Camara yells. Sure enough, the river comes the [8s], giving Camara a straight and the pot. Luckasavage is eliminated from the $600 No-Limit Hold 'em in 8th place for $5,414. 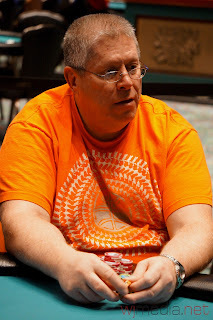 Peter Raimondi has been eliminated in 9th place for $4,353. Daniel Pabon bets 152,000 on a board of [Qh][8s][4h] and David Valence raises to 401,000. The turn is the [6d] and the river comes the [Ah]. Valence wins the pot to eliminate Pabon from the $600 No-Limit Hold 'em event in 10th place for $3,497. We have reached the final table of ten in the $600 No-Limit Hold 'em event at the 2012 Foxwoods World Poker Finals. The blinds are currently 10,000-20,000 with a 2,000 ante. Players have returned from dinner break in the $400 No-Limit Hold 'em and cards are back in the air. 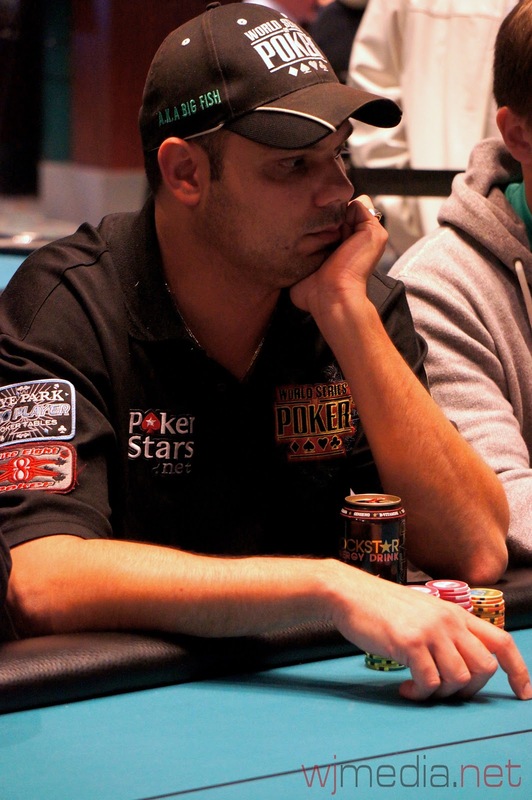 There are currently 156 players remaining and the average chip stack is now 45,800. 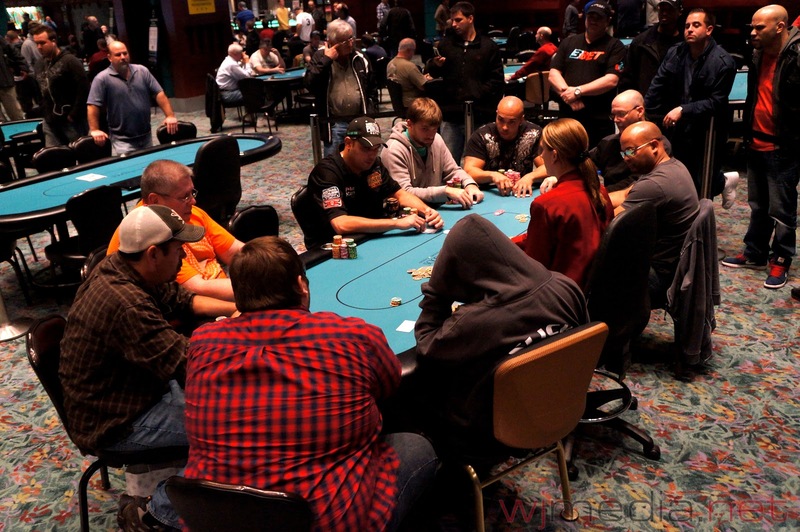 With the elimination of Kyle Loman in 19th place, we are down to 18 players in the $600 No-Limit Hold 'em event. Players are currently redrawing for seats at the final two tables. The blinds are currently 6,000-12,000 with a 2,000 ante. The average chip stack is now 450,000. We had a total of 357 players in today's $400 No-Limit Hold 'em at the Foxwoods World Poker Finals. The final 36 spots will finish in the money. There are currently 200 players remaining with the blinds at 400-800 with a 75 ante. $600 No-Limit Hold 'em is in the Money! @foxwoodspoker WorldPokerFinals @whojedi on the scene. Hello everyone and welcome to the 2012 Foxwoods World Poker Finals! WhoJedi here and I just got to town so apologies for the lack of coverage yesterday. 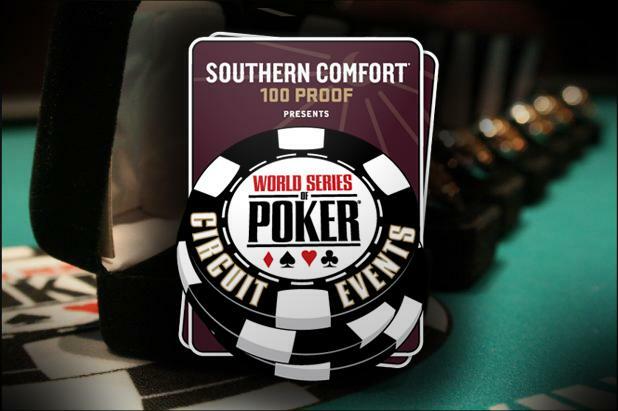 To give you a very quick updates, the $600 No-Limit Hold 'em event is in the money and down to 36 players. Everyone is now guaranteed at least $1,020 with first place paying $45,807.